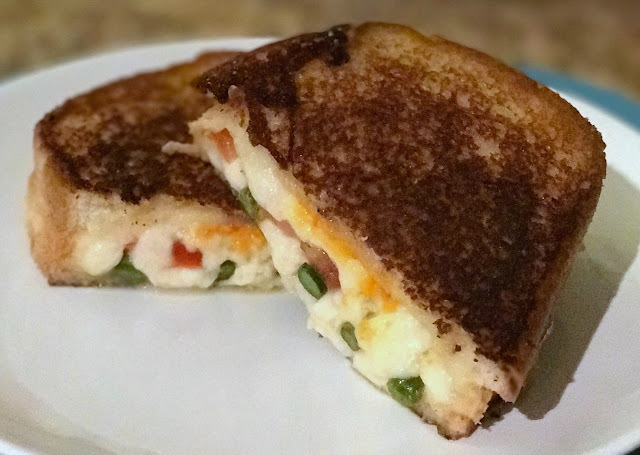 Food Hussy Recipe: Adventurous Mozzarella, Tomato + Asparagus Grilled Cheese | The Food Hussy! This post and my appearance on Fox 19 were sponsored by Sara Lee Bread. All opinions are my own. It's National Grilled Cheese Month and today is National Grilled Cheese Day! I'm excited to appear on Fox 19 this morning to share a couple of grilled cheese ideas with my friends at Fox. You see there are two kinds of grilled cheesers: Traditionalists and Adventurous! 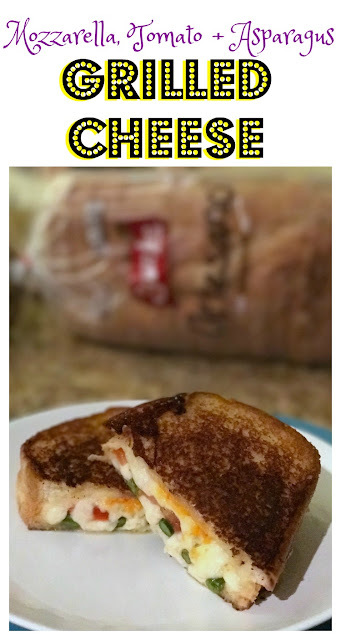 But for the adventurous folks - I've got a grilled cheese that I'm betting you've never had before! Fresh mozzarella, roasted asparagus, thinly sliced tomato and a splash of Balsamic Vinegar & Sea Salt. It's like a caprese salad but swapping asparagus for the spinach! 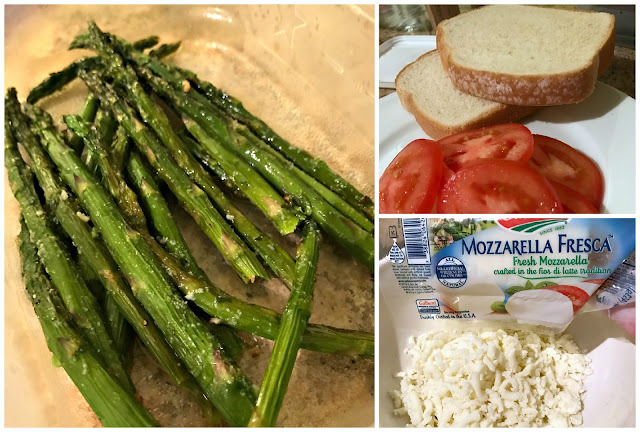 For the asparagus - I actually made it for dinner last night - super simple - just throw it on a sheet pan and drizzle it with olive oil, sea salt and cracked pepper. Then roast at 400 for 15 minutes. Then you make the grilled cheese - I love using cast iron pans - they don't stick because they're already "cured". So I do butter side down - no extra butter in the pan - and DEFINITELY no oil!!! Then top with shredded fresh mozzarella. TIP: Always use shredded cheese - it melts quicker and then your bread won't get overdone! Then top with asparagus and thinly sliced tomatoes. Also - splash a little Balsamic Vinegar and sea salt at this point. You need a little salty and a little acidity to go with all the cheese. Top with your other slice of buttered bread and you're good to go. Here's a big key too - DON'T SMUSH IT! The bread is a sturdy bread and it's meant to handle all those delicious toppings! Press it slightly just to seal the melty cheese and you're good!